Join ARIEL Theatrical as it goes back in time with Tom Sawyer and the irresistible renegade Huckleberry Finn in the adaptation of one of America’s favorite books. Participants ages high school through adult are welcome. In addition, children ages 5 and older may enroll in the children’s chorus if they are siblings of high school participants or related to adult registrants. Come and see why “you just can’t beat a pair of bare feet, in the heat of the summer time!” Come and go “fishin’ in the Mississippi River” with ARIEL Theatrical. The Jungle Book Three Week Day Camp Registration Open Now – Sign Up Today! Have a jungle of a time this summer in the Karen Wilson Children’s Theatre! 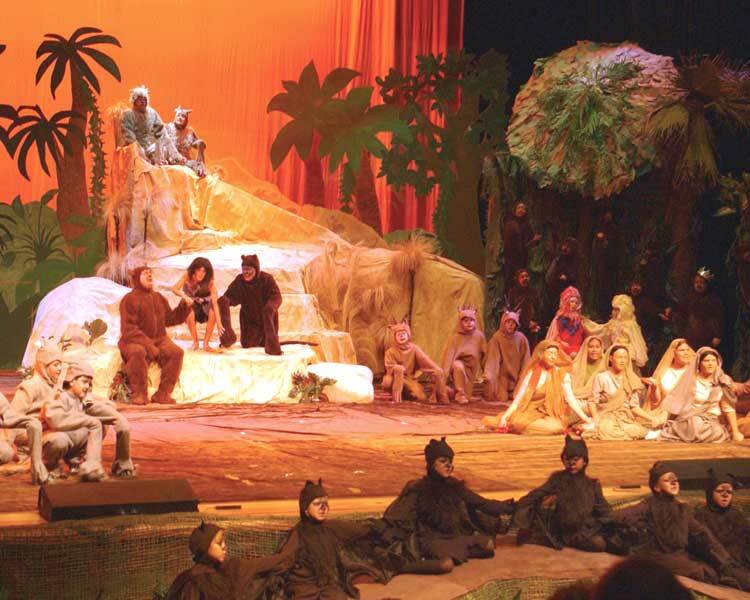 Children and youth ages 7 to 18 are invited to participate in the ARIEL Theatrical production of The Jungle Book, a family musical based on Rudyard Kipling’s classic story. Follow the extraordinary adventures of Mowgli, a boy raised by wolves in the jungles of southern India. With the help of Baloo, the bear, and Bagheera, the panther, Mowgli learns about respect, responsibility and resourcefulness—and confronts the man-eating tiger, Shere Khan. 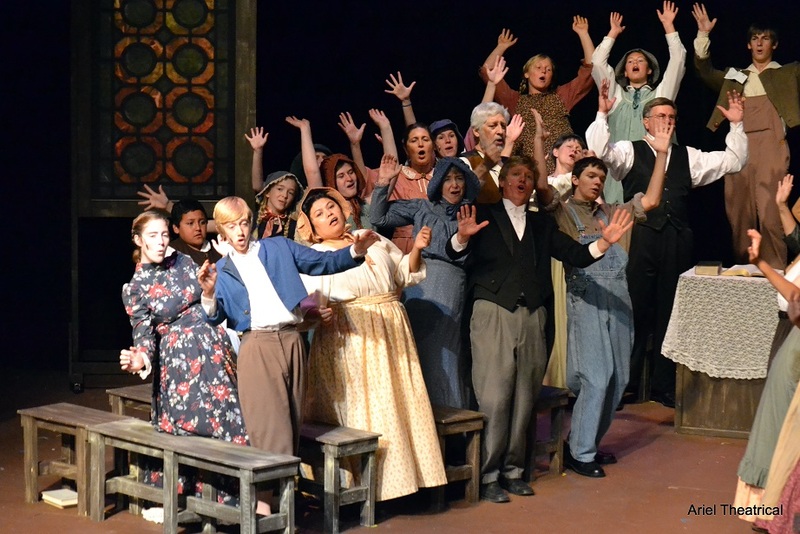 The camp runs Monday through Friday for three weeks beginning Monday, June 20, and performances are on July 8, 9, 14, 15, 16. Click HERE for more details and registration. Summer camp at ARIEL is much more than memorizing a script and singing songs. It’s about learning to be accountable, respectful, and how to work with others to create something amazing for the entire community. ARIEL’s finest productions are not the plays but the development of responsible young people who come together in a positive, collaborative spirit to learn, perform and share experiences that they will carry with them for a lifetime.